Advancements in the information and communication sector have brought serious consequences in human lives. For example, cases of data insecurity have risen because people at the moment can access cheap internet services and smart devices. Therefore, it is paramount for individuals to ensure that they take the necessary precautions to make sure that their private digital contents remain secure at all times. Those having personal websites such as WordPress sites should be vigilant at all times to ensure that their websites remain safe. We shall focus on how one can procedurally secure their WordPress site, the importance of WordPress security and the best WordPress security plugins that can be used in hardening your website. Website lockdown is one of the best ways to harden WordPress, which in essence can help in eliminating any attempts of forced access into the WordPress internet site. This feature detects a hacking attempt, causing an automatic site lockdown inhibiting unauthorised persons from accessing the site. For example, the use of iThemes Security plugin allows the user to specify the number of failed attempts, after which the site automatically locks down. The applicability of the two-factor verification or authentication at the login page is one of the best security measures one can take to secure his or her WordPress website. With this feature, an individual is expected to give login specifications for two distinct components of his or her own choice. For example, it can be a frequently used password followed by a secret code or question. A person without these details cannot gain access to your WordPress website, therefore, enhancing the WordPress security. The WordPress site gives an opportunity for its users to choose which option to use when they want to login to their sites. While most prefer to use their usernames, using an email can help enhance the security of your website because each WordPress account is created using unique email information identification. These emails are not easy to predict when compared to the usernames and therefore, is an important way of hardening WordPress. In enhancing WordPress security, all users are advised to change their passwords regularly. By doing this, they strengthen their passwords making it hard for hackers to predict them. To strengthen their passwords, users can add numbers, special characters, upper and lowercases to their passwords. Additionally, some features such as the password generator can be used. Backing up the website frequently improves the WordPress security because it allows one to restore their site to the working state at any moment they wish to. This is useful because in case of an attack, one can never lose their valuableinformation to the attackers. 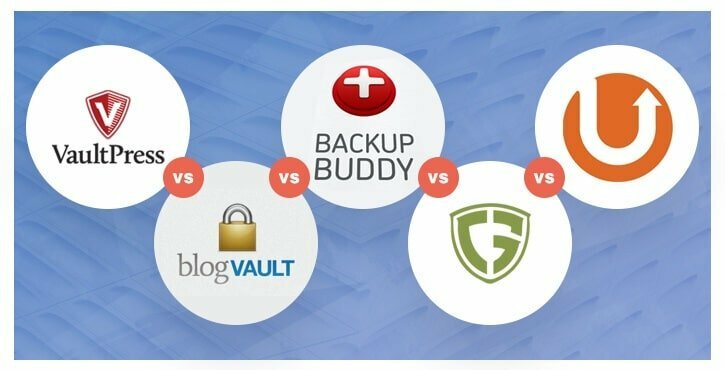 Below are some of the plugins that are under use to ensure that users backup their WordPress sites. In case the user contains the access admin to your dashboard, then they can easily manipulate your work, and that can be risky. Therefore, to ensure WordPress security, one need to disallow the file editing feature, so that when unauthorisedindividuals have admin access to your dashboard, they cannot change your records. To optimize hardening of WordPress through this step, one can add; (define (‘DISALLOW_FILE_EDIT’, true)) to the end of the document or file. The version number is readily available because it is usually available in the WordPress website’s source view. In case the attackers are aware of this number they can easily hack into your site, therefore, to improve the WordPress security, one needs to hide this figure using the available security plugins. 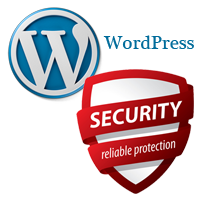 The following are the main reasons why WordPress security is significant. Improved WordPress security lowers cases of data loss, which is the main setback an individual can suffer in the event of an attack. Helps in reducing cases of spamming. Some attackers, after illegally gaining access to the WordPress site through insecure plugins, send lot of spam emails causing server IP Blacklisting. Others make use of the confidential information attained to threaten the owners of those sites, something that can cause extreme depression on the WordPress site owners. WordPress security helps lower cases of information manipulation. Some hackers can alter the posts in a manner that it spoils the name of the publisher or account holder. That can be distressing, and therefore, the WordPress security is useful in eliminating the possibilities of such events occurring. Read our Wiki article on Importance of WordPress Security and understanding the security issues. And why Preventive measures on WordPress Security and improvisation in the security. is a must. It is one of the best WordPress security plugin, which is a password security plugin that gives more than thirty ways of securing the WordPress site. Through a single click installation, an individual can stop automatic attacks and secure his or her website. It is also important in fixing the common security holes that might be responsible for information leakage. To note is that this plugin can scan the entire WordPress site to try in identifying any potential risk. Additionally, the plugin blocks brute force attackers and bans their IP address, therefore, enhancing the WordPress security. This is one of the best WordPress security plugin used in hardening WordPress. It allows for the auto-protection of the WordPress site against any potential attackers with firewall, malware scanning, IP blocking, and login security. It also ensures that the WordPress security is enhanced by protecting the website against SQL injection. With a paid version plugin you also get some premium features which we you will be excited to see. Hardening WordPress using various security plugins such as the ones discussed above (iThemes Security and Wordfence ) assist in enhancing WordPress security. The security is important in preventing data loss and domain blacklisting that might occur due to a brute force attack. Therefore, You are expected to make use of the above-discussed steps to help increase their WordPress security.